Dell's S2417DG is just $380 right now, which is the best price you'll find for this G-Sync monitor. The graphics card pricing crisis looms over gamers like a nightmare. Zombie machines are using as many GPUs as possible for cryptocurrency mining. But you know what part of a gaming setup isn't in crisis? Monitors. 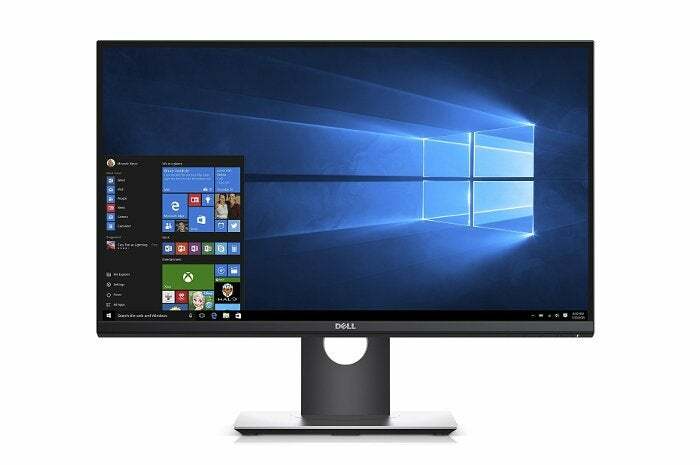 Dell has a sale today on a 24-inch 1440p G-Sync monitor for $380. This deal also includes a $50 Dell promotional e-card (essentially, a Dell.com store credit) that expires 90 days after issuance. Dell's sticker price for the S2417DG is $570, and the best price on Amazon right now is $423 from a third-party seller. So you're saving either $50 or $200, depending on how you look at it. If you think you can make use of the promotional credit, you'll save even more. The S2417DG features Nvidia's G-Sync, which means you can sync up the refresh rate between the monitor and a compatible GeForce GTX graphics card. The end result should be a silky smooth gaming experience with less stutter and screen tearing. This display also has a resolution of 2560x1440, and its TN panel supports a 165Hz refresh rate. You get 3D, too, if you spring for the 3D glasses. The tilt range on this monitor ranges between -5 to +21, and for ports, it has one DisplayPort, one HDMI, and four USB 3.0.